Italian artist Roberto Almagno returns to London for his second UK solo show, ‘Suspended in Space’, bringing with him a new brood of gravity-defying sculptures. Opening today at Rosenfeld Porcini gallery in Fitzrovia, the show focuses on recent sculptures, including a handful of earlier works. Born in Aquino in 1941, the artist trained under sculptors Giuseppe Mazzullo and Pericle Fazzini at various fine art institutions. Almagno has long been interested in wood, sourcing raw materials from the forests surrounding Rome, where he is based. 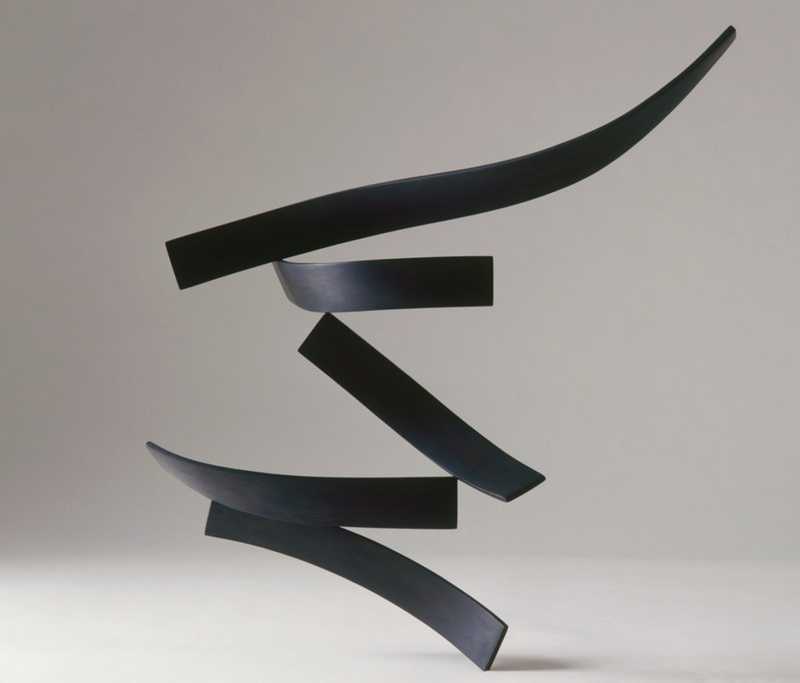 The artist is known for his dark timber sculptures that are often mistaken for metal. To wit, the Rosenfeld Porcini exhibition explores the contrast between his past and present works. On the one hand, his older sculptures command the space with their boldness, on the other hand, his newer pieces are looser and freer, as though the artist has drawn in mid-air. At their core however, these two threads of work are tied by Almagno’s continuing interest with lightness; it’s a breath of fresh of air to see an artist embracing creative duality with such finesse.